Preparations are underway for this weekend's Magic at the Mill kick-off to the holiday season. Trees, lights, and shiny things add a festive air to your shopping experience. 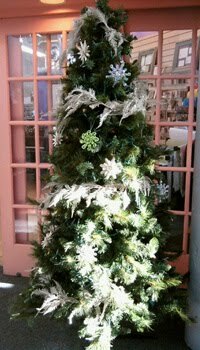 Visit with Santa, see a puppet show, and enjoy live music over the weekend. The complete schedule is available on Savage Mill's website. 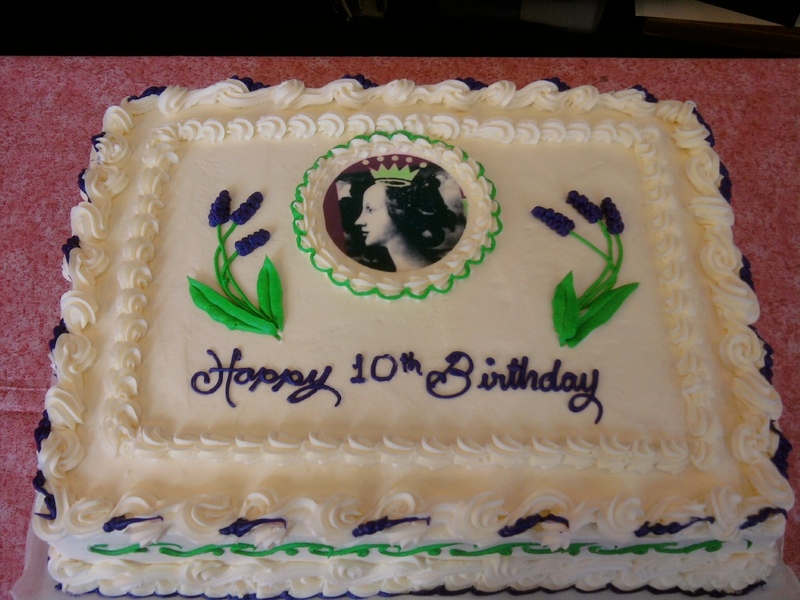 We're also getting ready to celebrate our 10th Birthday, so check our website and watch for an email newsletter for details of special happenings coming December 4th thru 10th. We're always anxious to see the samples that come with every order, and we're never disappointed (thanks Dave!). 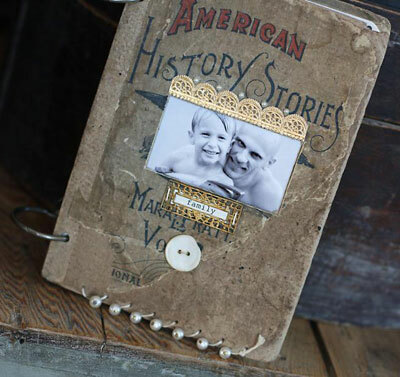 Yesterday, the truck brought the WeRMemorykeepers Cinch binding tool... very cool! For those of you who took Patti's Steampunk Journal class, you're familiar with this tool's ease of use and crisp results. What a cool tool to find under the tree... let your "someone" know soon! We still have some spots available in Jen Starr's workshops next Saturday (Nov. 13th). 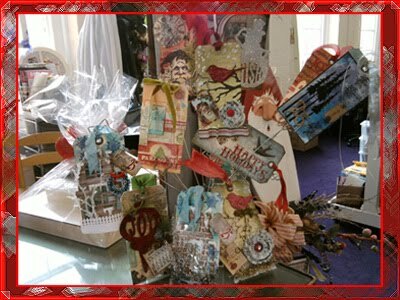 This is your chance to learn how to use all the cool Glimmer Mists you've bought (Tattered Angels), plus see how cool the new Glimmer Glam and Glaze look on your paper and metal projects. We just got a shipment from Magnetic Poetry that will certainly make great Christmas presents. 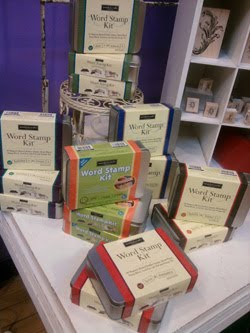 In addition to those large upper and lower case sets we've had before, we received six themed Word Stamp sets in tins for Family & Friends; Vacation & Travel; Holidays & Events; Love & Romance; Dates & Seasons; and Kids. 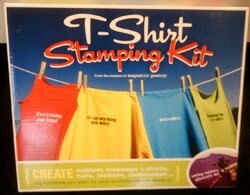 Something new... a T-Shirt Stamping Kit. What a great gift for a Tween! In other news, signups for Jane Davies' classes next week (Nov. 4th-6th) are a bit slow, so get on the phone and take the opportunity to learn collage and painting techniques from a fabulous artist who is really fun to have in the classroom. Wow, the blog is woefully out of date; however, we hope you're still interested in following us. When in doubt, visit www.queensink.com, where we post new products at least twice a week and announce upcoming classes as they are scheduled. If you're on our email list, you learned from an email sent on Saturday that Patti is out of town enjoying a few classes and out-of-store inspiration. Meanwhile, back at the store... Lolly is having a sale (through Wednesday), so come on in, bring cash or your checkbook, and save 10 percent by NOT using plastic! Our shelves are beginning to burst with new products, many that were pre-ordered at CHA (Summer) that had staggered release dates. Our November class schedule is shaping up very nicely. Amidst the hustle and stress we all experience as we prepare for upcoming holidays, don't forget to take a little time for YOURSELF. Take a look at our class descriptions, then call to reserve your spot. to come into the store? 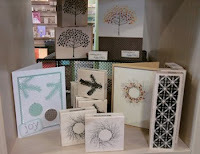 Brand spanking new products from Tattered Angels. New Glimmer Glams are finally in! This product is Glimmer Mists with twist. It comes in a bottle and you use a brush to apply. It adds a "fine glimmer plus a touch of glitter." Glimmer Mist Chalkboard adds a "chalk finish with fine glimmer." 12 very cool colors! Seven new kits of Glimmer Mists which feature three semi-opaque and one translucent glimmer mists. We also have several new colors in Glimmer Mists: Apple! Autumn Nights! Caribbean Blue! Suede! 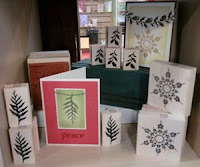 We got a ton of new Fall and Holiday Stamps from Impression Obsession. Lovely little metal charms - some with jewels set into them. 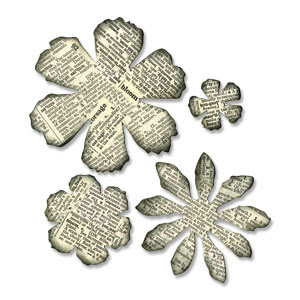 Metal binding rings - embossed with words, numbers and gems. Gears in different finishes in the same package. Clear stamps from their Paddington line. Chipboard letters and tags that coordinate with the Paddington and Conservatory papers we received recently. 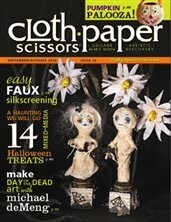 The September/October issue of Cloth Paper Scissors is in. 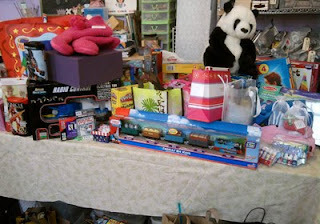 along with Sizzix's Big Shot. This piece would be considered Zentangle inspirited art - we consider it absolutely beautiful. Nancy Adams, a long-time customer from when the shop was in Crofton, created this. and several tangles that she learned in Patti's Zentangle classes. See what happens when you're not in the store for a few days... Loads of stamps come in. We did get a large order from Hero Arts. 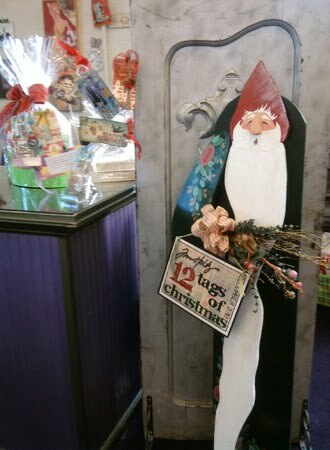 Just a few of the holiday/Winter images already on display. 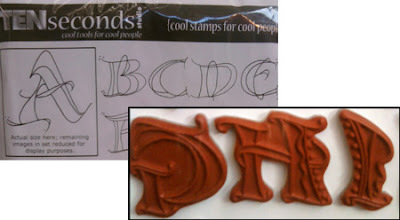 Some old favorites and new stamps from B Line Design. Dress Form Row, Mia and Aiden. Lots of verses stamps from Versus Stamps. Souls in the World, Accomplish Great Things and Front to Back. 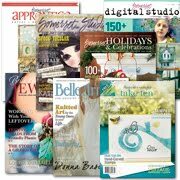 Somerset Studio, Take Ten, Belle Jewelry, Apprentice and Somerset Holidays. We are filled to the gills with Copic Sketch Markers. We added three new colors to our range: N6 Neutral Gray No. 6, E42 Sand White and E93 Tea Rose. We now have 221 colors and counting! 7 Gypsies Vintage Receipt Holder. This size is their ATC model. They also sent us two other sizes: a 2x2 section holder and a 5x2 holder where each compartment is 3x5 . These are steampunk themed rubbings sheets. National History, Curiosities and Victoriana. These items are the first in a long line of stuff coming into the store from CHA Summer releases. Tim Holtz products from Advantus and Sizzix. 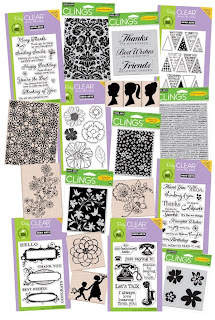 Zentangle Basics, Zentangle 2, Zentangle 3, and Totally Tangled by Design Originals. Tearable Tape in assorted sizes. EcoArtBoard in 1x1, ATC and Assorted Sizes packs. All colors in StazOn ink pads. Ranger Stickles and Enamel accents. Guess what - UPS just came in the new products from 7 Gypsies - I'll show you those tomorrow! 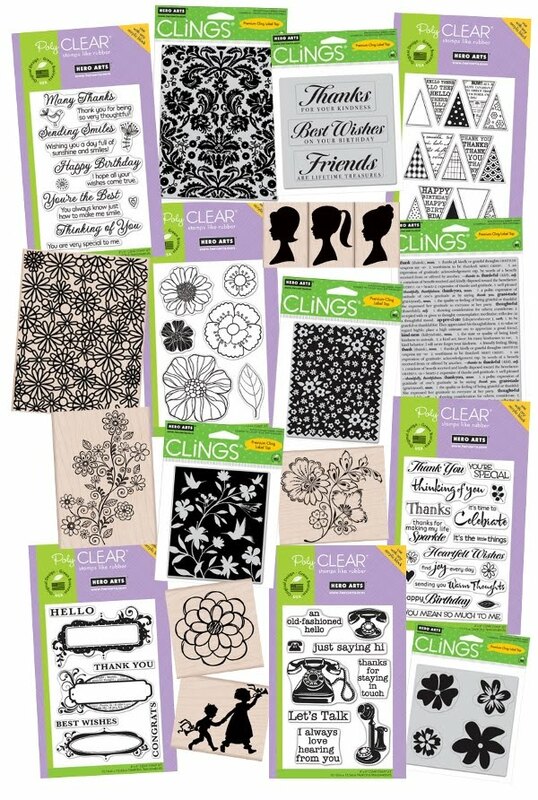 We are fully stocked with Zentagle supplies and Design Originals books written by certified Zentangle teachers. Our next Zentangle Basics class is Tuesday, August 10th and our next Intermediate Class (#2) is August 11th. Sign up and check it out! Memory Box has had a Color of the Month Program which we have started to participate in. 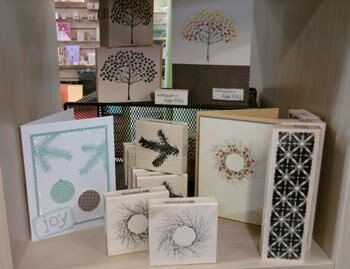 Every month they feauture one of the many colors in their palette of white inside, color outside A2 cards. We receive a limited number of the card packs and a card sample. August's COTM is Pink Grapefruit. Here you see it used with three poppystamps stamps: Ring Background, Solid Peony Blossom and Lucky Dragonfly. 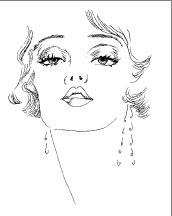 The Queen's Ink will close at 6 p.m. on Friday, May 21st and Saturday, May 22nd. 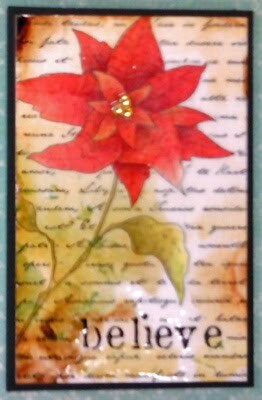 These are papers from the 6x6 collection, Jubilee.